Interpine’s Log Value Recovery Auditors recently attending a training session hosted by Waratah Forestry Attachments at their Rotorua training centre. The focus was learning more about the TimberRite measuring and control system, while also focusing on the key mechanical and electrical maintenance routines required to keep the machine working accurately for log manufacturing in forest. 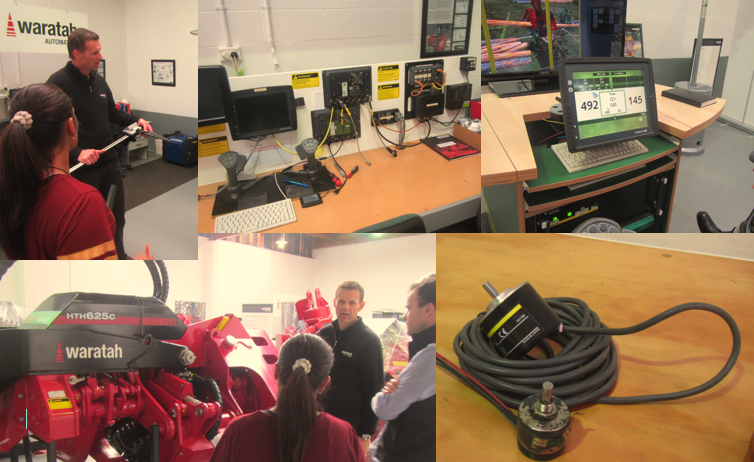 Hosted by Jason Huitema, their Rotorua training centre was an excellent location to get to understand the technology, with several current and older style mechanised processing heads on display. This combined with the TimberRite simulator, and working versions of the various computer control modules meant there was a lot to take in. Figure 1 – Ngarangi Mita reviewing setting up APT files (cutting Instructions in the simulator). Figure 2 – Testing the effects of cutting strategy relative values and quality constraints inside the optimiser while operating the simulator. 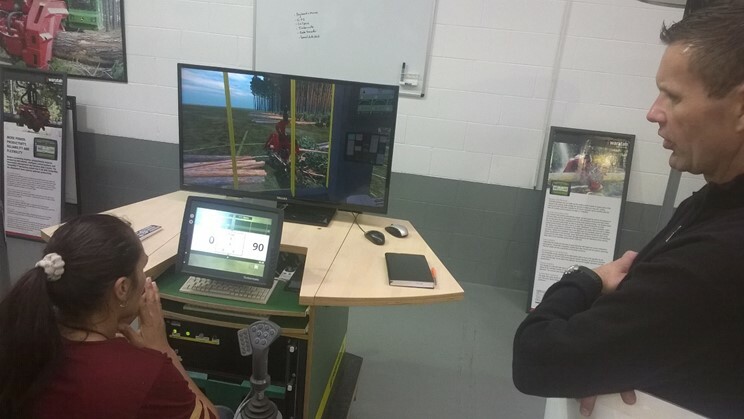 The simulator has a range of sweep defects on the stems for processing allowing the operator to review the best methods of dealing with defects in the stem using the optimiser. Combined with pruned sections and branching allowed the auditors to better understand the TimberRite predictive optimiser used in the processing heads like Waratah Forestry Attachments. Comparing how this works in relation to the Timbertech Logger electronic callipers which are still routinely used for Log Value Recovery audits in field allow for the auditors to better provide feedback and assistance when working with operators in the field. The range of parts on display from brand new processing heads, to new and worn! electronic length and diameter encoders, find-end sensors, length wheel arm accumulators, allows our team to see what can be simple root cause issues related to log quality and value recovery, in terms of accurate measurement of length and diameter. This showed the importance of operator awareness of life expectance of these key parts in relation to their operating conditions in the sand country of the north, to the clays and pumice of the central north island. 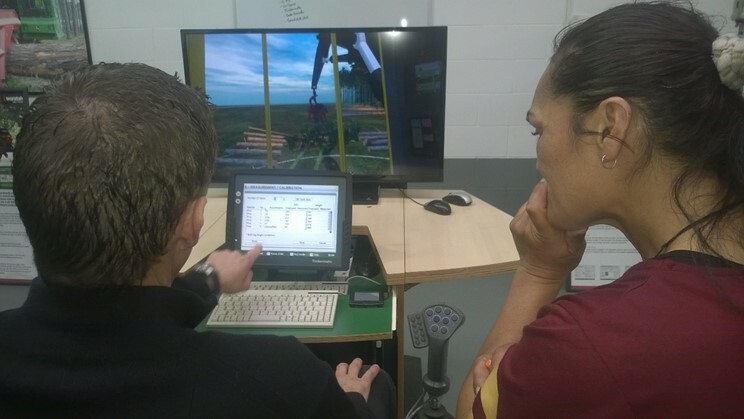 The staff involved were also taken through the range of data output options, including the just about to released TimberMate Android phone app, which is used together with a Bluetooth connection to the TimberRite system to automatically email off the daily data files produced by the system. If you would like to know more about of Value Recovery Audit Services which are offered throughout New Zealand, and periodically on request in Australia please feel free to contact our team.